How to Get Top Ranking on Google with Your Business Web Site Can Google+ Become a Powerful Social Network? How difficult can it be to send a press release to the Wall Street Journal, or get your company featured on a national TV news show, like Diane Sawyer? Actually, it is very difficult. Sending the release alone is easy. Getting the reporters to take serious notice of what you sent, that’s difficult. And harder yet, is to make your company be newsworthy in their eyes. Getting any reporters attention requires relationships. A good public relations agency has developed strong relationships with the media. This doesn’t happen overnight. Unless you have a world changing product, or a unique service, it may be a challenge to just get any media to listen to what you have to say. With all the world politics today, disasters, and 3rd world revolutions, getting your 15 minutes of fame may not be as easy as you expect. PR Clients tend to believe they have the best product, best story, or the best new widget and the world needs to know this. Well, as true as this might be, if the presentation to the media isn’t as exciting, then you just lost that pr opportunity. Packaging (presenting) your story is critical, as is the timing. Putting fluff into your release or story is not a good idea. Keep the facts real, keep the information short and don’t SELL your story using sales pitch language. Remember, reporters are people. They do not want to be sold to or told that you are the greatest at what you do. Explain why your product or service will help others, or solve a specific problem. That is just one way to get the attention of the media. If you want to get local publicity, you need to do the same thing as a national publicity story. A good local publicity agency will have a good relationship with the local media, and they will know how to package your story to the selected reporters that best meets your pr marketing strategy. 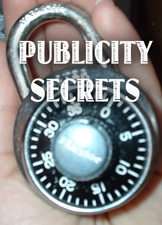 Learn more about getting national or local publicity from Carson Marketing, Inc. Call for a NO COST consultation meeting to discuss how your company can be in the news. Contact George Carson at 949-477-9400.